Thank you for choosing The Owensboro Convention Center for your event! Since this is probably the first event that you have planned at the convention center, we wanted to make sure that we try to cover everything upfront so that you understand our policies and procedures and that your event is exactly what you are expecting. 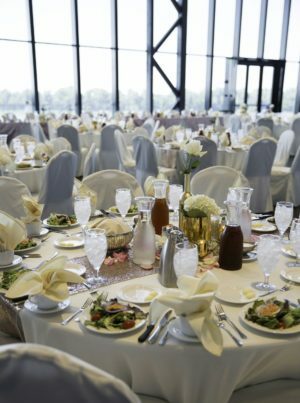 Below is a short list of some things that you need to know about planning an event at the Owensboro Convention Center. Contract: Contracts must be signed by all events occurring within the building and returned by the due date listed on the agreement. Typically, the due date is 2 weeks after the contract has been sent. Once the contract has been signed by you, and the deposit has been made, our GM will sign the agreement and we will send a copy of the signed agreement with both signatures to you. Deposits and Payments: A deposit is required to accompany the signed contract. We can accept checks, credit cards, cashier checks or cash. All estimated expenses must be paid prior to event move-in, unless approved for direct billing by the General Manager. A payment schedule will be based on the type of event listed on the contract. HINT: Sometimes the easiest thing to do is fill out a credit card authorization form for the deposit and check the box to keep it on file for all expenses including day-of additional requests. No additional requests will be made without a credit card authorization form filled out for day-of expenses. Security: We require the use of our security guards for any event that is serving alcohol. Our standard guideline is 1 security guard per 250 guests and this labor charge will be added to your estimated expenses. There is a 3 hour minimum on all labor. Labor: For certain types of events, such as an expo, we may require additional labor such as ticket sellers, ticket takers, or security. This would be added to your estimated expenses that are due 7 days prior to your event. There is a 3 hour minimum on all labor. Insurance: Like the majority of other facilities across the nation, we require all events in the building to carry liability insurance and list us as additionally insured. We have an example of what the Certificate of Liability should look like that we can send to you and the specifications are listed in the contract. Most organizations have their own liability insurance that will provide a certificate of liability insurance with the additionally insureds, but most social events, such as weddings and class reunions may not be covered on your general liability. In those cases, you have the option to purchase the insurance through any insurance agent that offers event insurance, such as E.M. Ford, or we can handle obtaining the certificate for you at a cost of $1 per person. If you purchase the insurance through us, this charge will go on your total event expenses that are due prior to the event. Audio Visual: You are more than welcome to bring in your own AV equipment with no additional fees. However, if you would like to rent certain equipment, we have a list of several items that you can rent on a daily basis. If you bring in your own equipment or rent it from another vendor, we are not allowed to service or assist in the setup or operation of the equipment. In addition, any electricity needed for outside equipment will be subject to a charge. Room Rental: Room Rental typically includes a one-time set of tables and chairs, up to a 12-hour rental, standard podium (if available), and standard table linen. Food and beverage functions will also include real place settings, glasses, and cloth napkins (standard colors). Rental for table top displays or vendor tables are not included in the rental and may be an additional charge. If you need more time than 12 hours, rental can be available on a pro-rated basis. Typical operation hours are 6a-midnight. 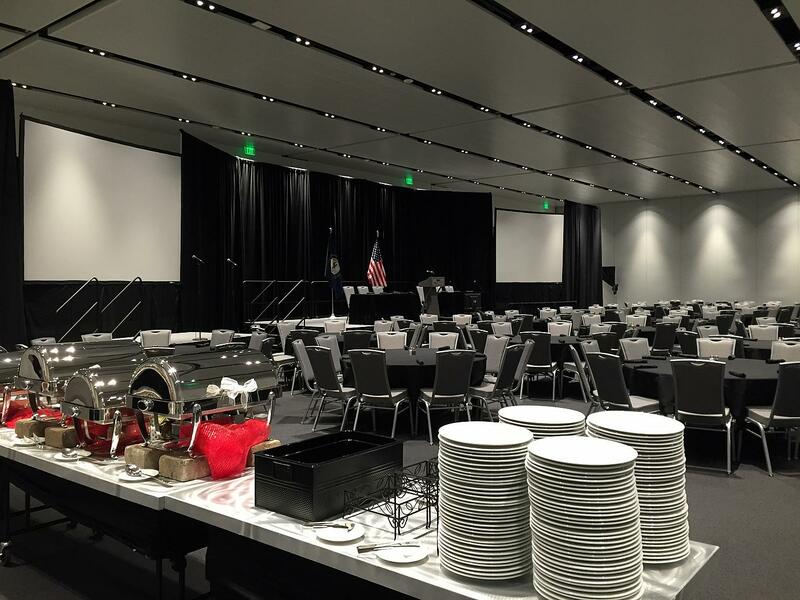 Food and Beverage Exclusivity: The Owensboro Convention Center maintains the exclusive right to provide all food and beverages and concession services at The Owensboro Convention Center. Any exceptions must be requested and obtained by prior written approval of the General Manager. 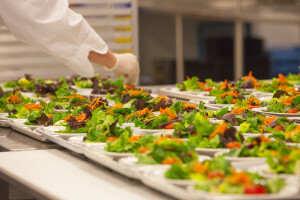 Food items may not be taken off the premises in to-go boxes; however, excess prepared food may be donated under regulated conditions to agencies feeding the underprivileged at The Owensboro Convention Center’s sole discretion. Food & Beverage Menu: Choose a menu from our OCC Catering Menus or have us custom design a menu for your particular needs. Menus for food functions should be finalized at least 30 days prior to the event. Additional charges may be incurred for menu items submitted after the 30 day deadline. Menu prices cannot be guaranteed until 6 months prior to event. All menu prices will be subject to a caterings supplemental charge (currently at 21%) and KY Sales Tax (6%). • If you have a signed agreement; we will offer a tasting of 2-3 entrees and 2-3 vegetables for up to 4 people to help narrow your choices. • If you do not have a signed agreement; we will offer a tasting (same as above), but require you to pay for the meal. When you sign the agreement, your final bill for the event will be credited that amount. 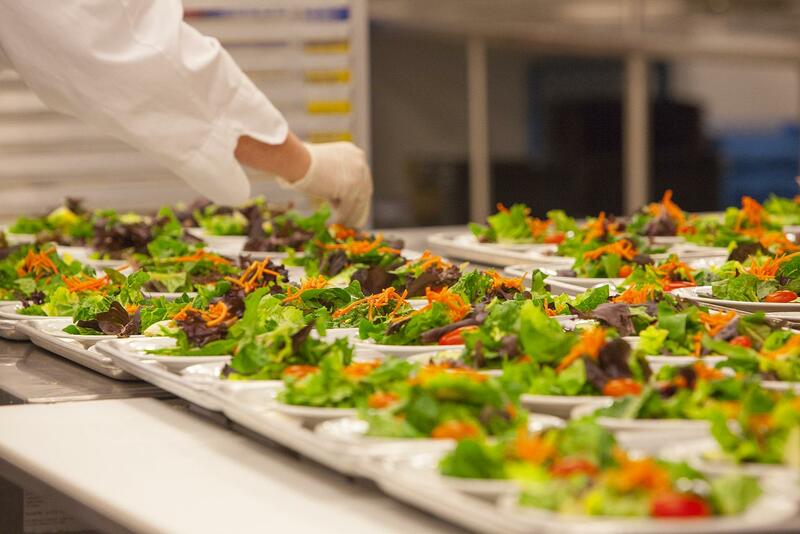 Dietary Restrictions: The Owensboro Convention Center’s Food Services are happy to address special dietary requests for individual guests with a five day advance notice. The Owensboro Convention Center will automatically prepare 1% vegetarian dinners for Plated Dinners. Bars & Concessions: Setup fee for all bars (cash or hosted) and cash concessions will be $100 per bar based on a 4 hour service time. If each bar or stand meets $500 in sales, then the setup fee will be waived. Bars or stands may be available longer than 4 hours, but will incur an additional setup fee of $25 per hour and minimum would increase by $125 for each additional hour in order to be waived. Décor: Decorations, signs, banners, etc. may not be taped, nailed, stapled, or otherwise fastened to the ceilings, walls, doors, painted surfaces, or columns without prior written approval from facility management. No lighter than air (helium, etc.) are permitted in the building. The only way to use balloons is if they are filled with air (not helium) and attached to a structure such as PVC pipe. We also do not allow glitter to be used on the tables or floors. Before you decorate, it is best to run through all decorations with your event manager to see if there are any conflicts. Good rule of thumb – if it takes more than a vacuum to remove from the floor, there will be an additional charge for cleanup. Cash Concessions: If you are requesting concessions at your event, all cash concessions must meet a setup fee of $400 per day in sales or the difference will be charged to the planner. Typical Time Frame of an Event: Your Sales Manager will work with you on the front end to discuss your event needs and help create an estimated dollar amount for your event. They will send you a contract that includes these details and collect the initial deposit and signed agreement. After signing an agreement, an Event Manager will be assigned to your event and they will assist you in executing the contract as well as fine tuning the details for your event such as the menu planning, room layout and much more. They will become your best friend the last 2 weeks of planning! When you send your final guarantee 5 days prior to the event date, they will send you the final invoice and collect the full payment as well as any additional documents that may be required such as the certificate of liability insurance. The Event Manager will draw a diagram based on your setup and require you to sign off on it. If there are any changes to that setup once it has been signed, a re-set charge will apply. An Event Manager will also be on-site the day of your event in case any questions arise and to assist you with any additional requests.